News Reader Apps: How Do You Consume Your News? The noise of the internet can be a little overwhelming sometimes with the endless online feeds of information to check such as Facebook and Twitter. How do we find time to catch up on good old-fashioned news? The traditional newspaper is rapidly becoming an outdated concept now that the world is moving at such a rapid pace, leaving the familiar narrative cycle of build them up, knock them down, redemption and comeback stories to be completed by the time the humble newspaper ends up in your hands. This has led to online magazine-style news reading apps such as Flipboard, Pulse, Zite and News360 to change the way we consume news and information. We now connect all of our social networks, add topics that we are interested in and enjoy our own fully customised online publication that is constantly updated to ensure that we know about any story as it breaks. With this constant stream of content, why would anyone find the need to subscribe to a Rupert Murdoch owned online newspaper that locks its information behind a paywall? Sadly for this reason alone, Newspapers sales are on the decline but many of the reasons can be attributed to the failure to adapt to the brave new digital world. With a growing number of Newsreader apps, which one is the best to adopt as a user? And which is best to market your website on? 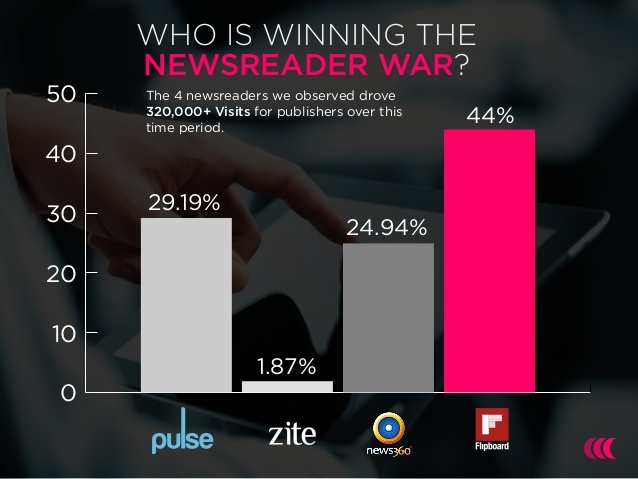 It is probably not too much of a surprise to see that this is a 4 horse race between Flipboard, Pulse, News360 and Zite. As Zite has now been sold to Flipboard, I would expect it to be integrated and then retired leaving only three top news reader apps. 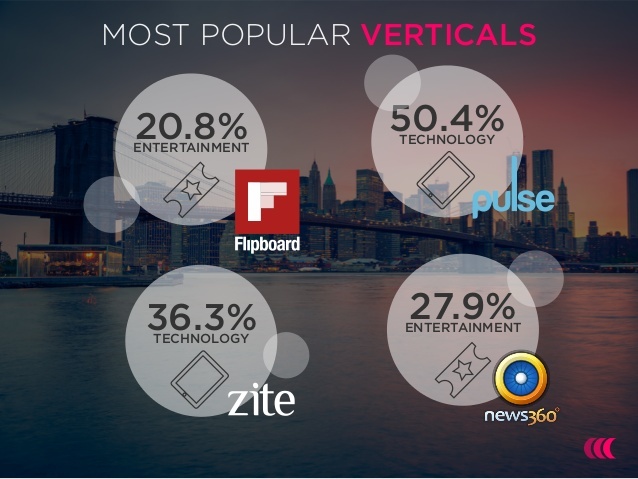 Flipboards strength is giving users the ability to add your favourite social networks, publications and blogs, but also create your own magazines that can be shared with other like-minded users on niche subjects which ultimately turns the user into a content curator themselves. For example, at the height of Breaking Bad’s popularity I created a magazine for fans that contained all the information about the show in one place. Even now, this simple magazine has over 1,400 subscribers, which illustrates the way in which we consume content has changed so much. Whatever your interest might be, there will be a niche feed or for you to enjoy. As someone who helps run a gaming website called Expansive, having the ability to showcase our work in a magazine format is a no brainer and one of the first things that I had to set up and bring our content to an even bigger audience. Interestingly, Pulse dominates the technology category and its strengths lie in the updates that are condensed into rows with a visual mosaic of pictures rather than organizing stories under headlines or pages making it ideal to digest content very quickly. News360 is the app you probably haven’t heard of but don’t let that put you off, although very similar to their competition, where you can subscribe a wide range of niche news categories, you can also add your own website too, which allows you bring more traffic to your website. I was able to add our feed for Expansive with a few emails to the site admin team. My favourite aspect of News360 is that allows you to view multiple news sources for the same article which essential if performing any research on a particular subject. Anyone working in digital will tell you how meaningless it can be chasing meaningless numbers of followers when engagement is the key to almost everything online now. 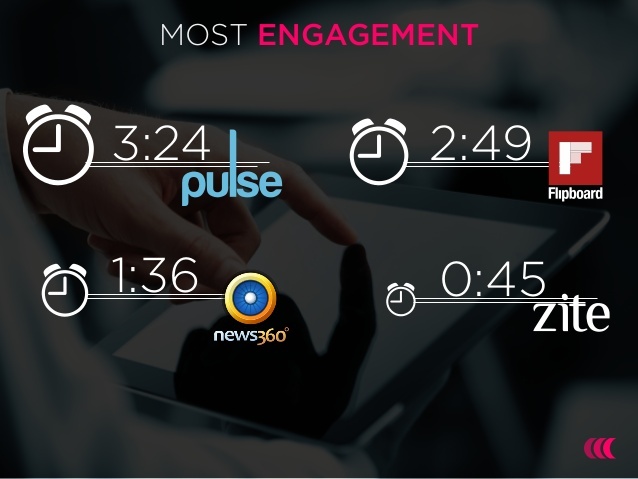 Interestingly Pulse has a much higher rate of engagement than its competitors; much of this can be attributed to its strong integration with LinkedIn. All of these apps bring something slightly different to the table and personally I love Flipboard for browsing through your social networks, adding Twitter Lists, online content and having the ability to be active in content curation. Pulse and News360 are particular good for discovering the latest trends but ultimately I would strongly recommend that anyone interested in news should try dipping their toes in all three of these apps to see what works for you. If you have any online tips surrounding online newsreaders, please let me know as I would love to hear how you access and manage/promote online news. ← Can Social Media and Live Music be the Perfect Mix?